Cut flower companies with multiple production locations often choose to have the sorting and processing take place at one central location. 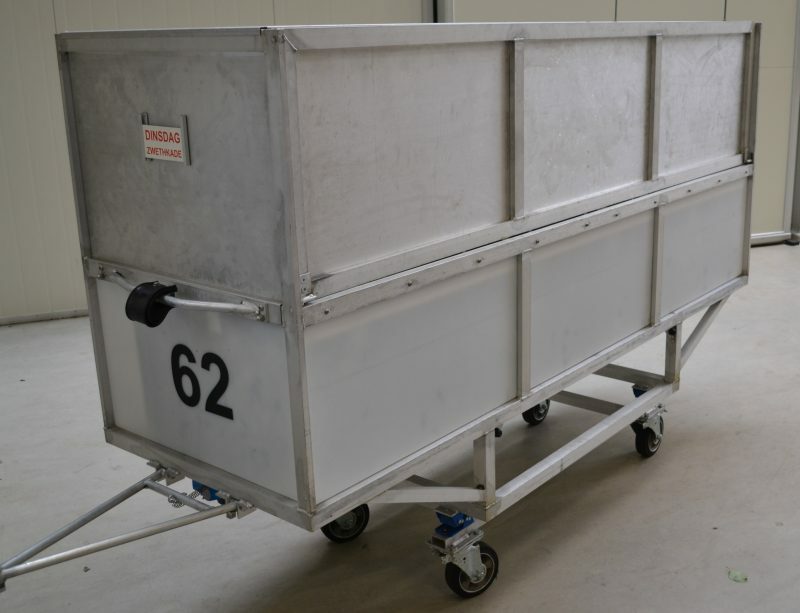 To ensure that logistics flows between locations run as quickly and efficiently as possible, Codema has developed special water carts. These cars can be completely designed to your needs and the dimensions of your trucks. The segments in the car ensure that your cut flowers do not get oppresssed and do not move during driving. Naturally, the thin layer of water in the water cars ensures that the cut flowers remain fresh for a longer time.